We will be keeping you up to date via emails in the run up to the event plus here on our Event News Feed, where you’ll find all the latest updates and key info. Please ensure you read the Event Details which include the all important rules and everything else you need to know about the weekend. You can also check our Kit List to make sure you are fully prepared ahead of October. Parking (on grass) for cars and campervans is included in your entry, as is camping on Friday evening. Please arrive with at least 2 persons per vehicle. Spare seats? Why not offer free spaces to other competitors on the OMM Competitors Facebook page. If you’d like a little more luxury for Friday night, there are several accommodation options within a few miles of the Event HQ – but book early to avoid disappointment! No vehicles longer than 7m can access the event parking due to the size and steepness of the access road. If you have any concerns about vehicle access contact emma@theomm.com. +Update 12th Oct+ Online booking of transfer from Abergavenny Station to the event HQ is no longer available. 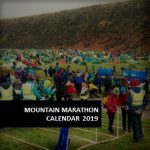 If you require a transfer and have not yet booked contact emma@theomm.com who may be able to help. For any cancellations received up to 1 Aug 18, a refund (-10% admin fee) is made. After this date we cannot offer a refund as we have already paid for your attendance. The event is run on a not for profit basis and one of the ways of keeping the costs as low as possible is to agree numbers as far in advance of the event as possible, hence why it becomes more expensive to enter as we get closer to the event. For these reasons we are also unable to defer entries to future events. 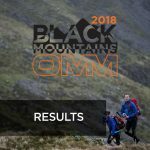 Up until Friday 12th October, any amendments to team details or course you have entered should be emailed to emma@theomm.com after that time all amendments must be done at registration. We cannot guarantee it will be possible to change course after September 27th. The fantastic menu for the weekend is here. Friday night pasta party pre-orders are no longer available but can be purchased on the night. If you have a gluten free or vegan diet please let us know by filling out this form. Pre-orders for gas, t-shirts and mugs are no longer available but can be purchased at the event. Happy training and see you in October!